The entrance to the Mith Samlanh Drop-In Centre, which offers medical support, food and a resting area. Many clients are battling addiction to injectable drugs, and connected problems such as Hepatitis C - a serious blood borne illness. Turn into this narrow side street from a traffic-choked avenue in Phnom Penh, the capital of Cambodia, and the volume suddenly drops. 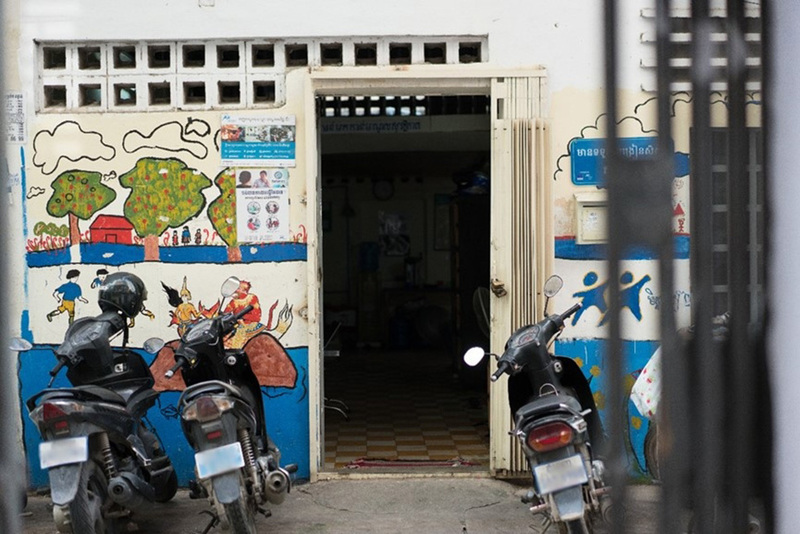 Removed from the honking tuk-tuks and bathing in shade, a bright mural welcomes visitors to the drop-in centre of a charity, called ‘Mith Samlanh’. Meaning ‘close friend’ in Khmer, the national language, Mith Samlanh was founded in 1994 to support street children. Today the challenges of street life are such that Mith Samlanh reaches out to young adults, too. They come to this centre for food, to rest and receive medical care, including help with drug addiction. While data on opiate use in Cambodia is scarce, the country is a transit route from the Golden Triangle – an area overlapping Myanmar, Laos and Thailand; one of the largest opium production hubs in the world. 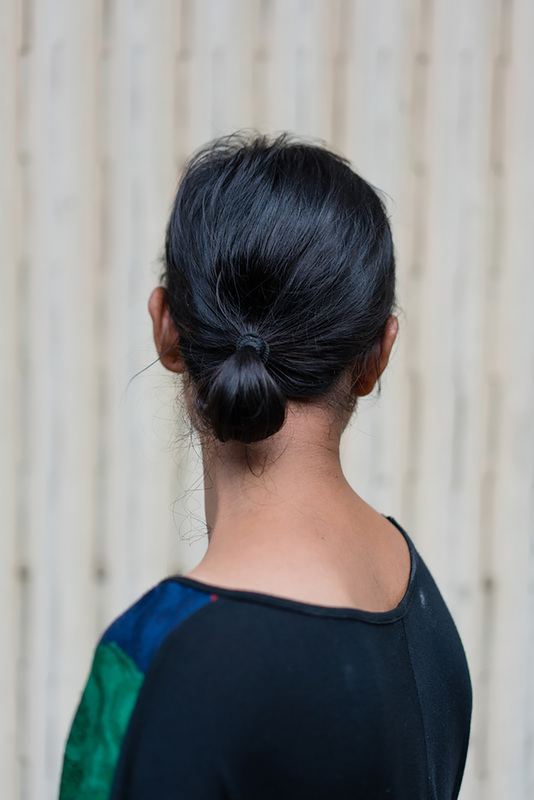 The impact on young Cambodians is on display every day, in centres like this one. Medical staff from Médecins Sans Frontières / Doctors Without Borders (MSF) have worked in this centre since August 2017 to offer free tests and treatment for hepatitis C, an often serious and lifelong illness. It is blood borne, and easily transmitted through needles. The centre is open every weekday, and Chenda visits daily. “Here I can rest, get the medicine, get a snack.” Clients view the centre as a safe place, with services they trust. ‘Expensive’ is an understatement. In Cambodia, a three-month course costs more than $1,000: a huge burden for most Cambodians, let alone those battling a substance addiction. A new type of treatment used, called direct acting antivirals (DAAs), helps explain the cost. DAAs have revolutionised hepatitis C treatment. Where patients would previously endure a longer and far less effective regimen with painful side effects, with DAAs patients follow a simple course of drugs for twelve weeks. 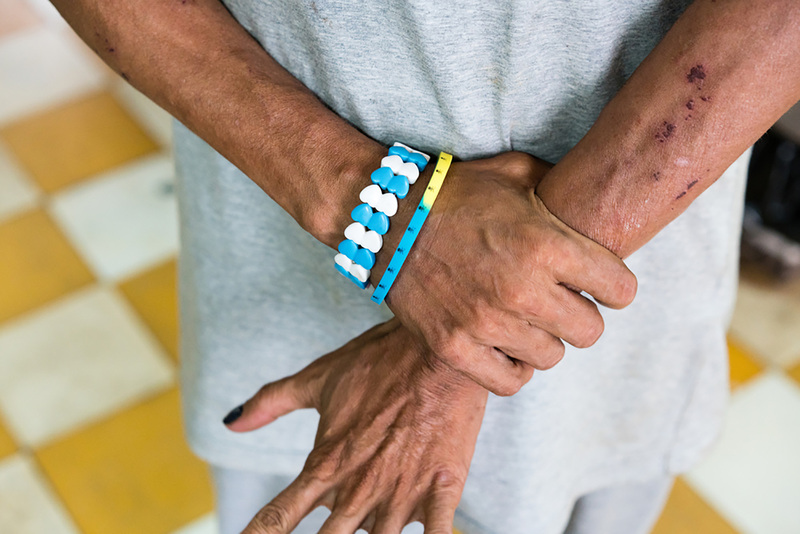 In MSF’s project in Cambodia, more than 95% of patients reach cure. MSF is offering the test and treatment for free. When the service opened in 2016, people from all over the country flocked to the hospital in Phnom Penh where the team operates. Many people reported having been diagnosed years – if not decades – ago. 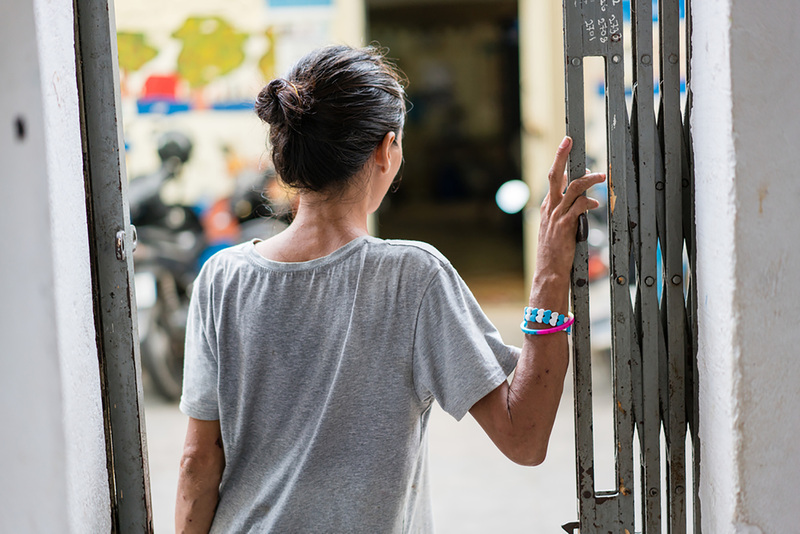 The age of many of these patients suggest they were infected in the 1980s, when Cambodia’s health system was reeling from the aftermath of civil war. One possible consequence is that medical professionals, facing needle shortages, were forced to re-use them. Contrary to those patients, young people injecting opiates are getting infected and transmitting the disease today. And reaching out to them raises its own set of challenges. This is a common problem. Because of repeated intravenous drug use, clients’ veins can be heavily scarred. This makes them difficult to locate, puncture and draw blood from. Encouraging clients to return for follow-up tests is also difficult, due to transient lifestyles, homelessness or their efforts to avoid crackdowns. One client was arrested twice while on treatment – and twice their Hep C drugs were seized. These obstacles mean that of 115 people tested – more than half of them positive – just ten clients are currently on treatment. And for those who can start a treatment, their situation or work – including those with relatives to support in the countryside – means it is hard to visit the centre every day. Staff from Mith Samlanh and MSF try to tailor treatment to a person’s circumstances. For example, some clients are following a methadone treatment to wean themselves off opioid dependence: By offering hepatitis treatment to those who are already engaged in care, the clients are easier to locate and maintain contact with, meaning they have a better chance of completing their course. Chenda, the first patient, explains the challenge is to stay focused when out in the street. How does he handle the weekends, when the centre is closed?